Starting in the May 1932 issue of Flying Aces and running almost 4 years, Eugene Frandzen’s “Lives of the Aces in Pictures” was a staple of the magazine. Each month Frandzen would feature a different Ace that rose to fame during the Great War. This time around we have English Ace—Captain Albert Ball! 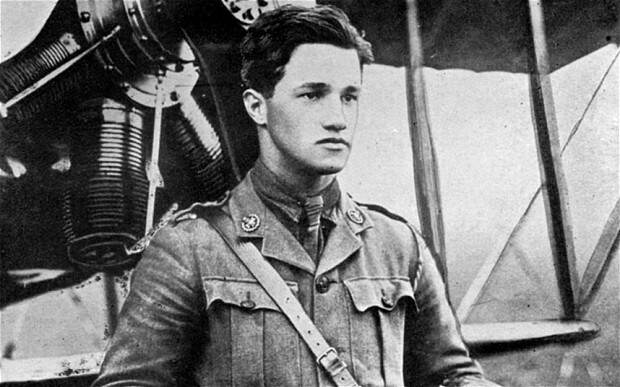 Captain Albert Ball was the first of the Royal Flying Corps pilots to make a distinguished record. Unlike the French, the British made no mention of their air pilot’s victories. One day Ball wrote home that he had just counted his 22nd victory. His mother proudly showed this letter to her friends. Ball was disbelieved. It was beyond belief at that time that any single pilot could have shot down so many enemy planes. Ball was finally vindicated. 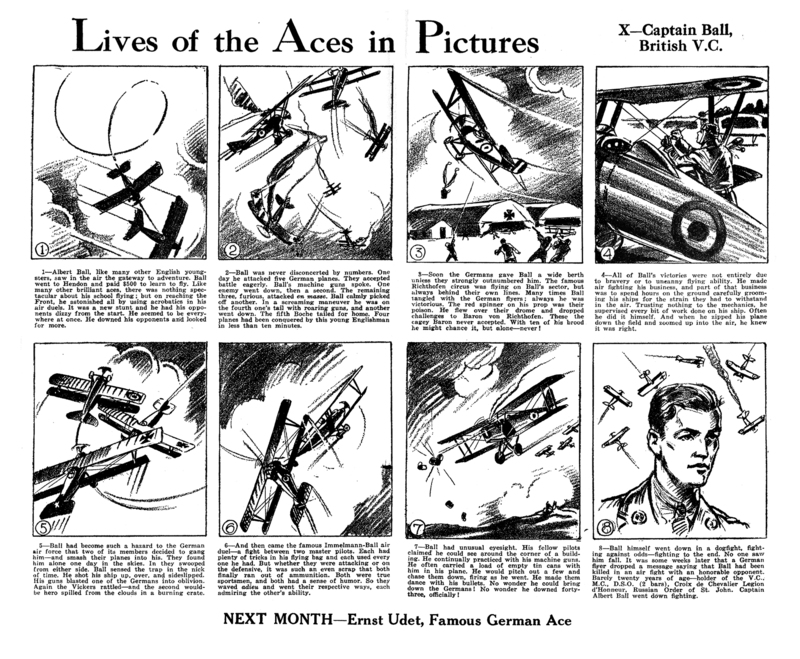 From that time on the British publicized the exploits of flying aces. Ball shot down 43 enemy planes and one balloon, being at the time of his death the Ace of Aces of all the armies. He received every decoration the British Army could give him, including the Victoria Cross. He was killed in a new British triplane by the younger von Richthofen the day after America entered the War.